Can I Get a Mortgage Loan Discount for My Calgary Green Home? Green homes in Calgary are becoming more and more prevalent because they can help save a lot of money on utility bills while surviving this harsh climate. But did you know that working with eco-friendly home builders can also help you land a mortgage rebate? There are two lenders in Canada that offer mortgage insurance rebates to homeowners buying EnerGuide-rated homes. All Fine Line Homes buildings exceed Canada’s EnerGuide requirements for household energy efficiency, so if you choose to build with us, you could save hundreds or even thousands of dollars! In Canada, a conventional mortgage requires the home buyer to make a 20 per cent down payment. That can add up to a lot of money, and the majority of buyers simply don’t have that kind of cash available. In such cases, mortgage lenders require home buyers to purchase mortgage insurance, which protects them in the event that the buyer defaults on their payments. That insurance remains in place until the homeowner builds up enough equity to surpass the 20 per cent level. Mortgage insurance isn’t cheap; if you’re putting down 5 per cent on a $300,000 home, your mortgage insurance could cost between $8,000 and $9,000. If you’re buying an eco-friendly home in Calgary and you work with one of the two lenders that offer energy efficiency rebates, you can get an immediate 10 per cent rebate on your mortgage insurance. Depending on the value of the home and how much money you’re putting down, that 10 per cent could add up to hundreds or even thousands of dollars back in your pocket. As mentioned, there are two mortgage insurance providers who offer discounts to people who purchase houses through green home builders: the Canada Mortgage and Housing Corporation (CMHC), and Genworth Canada. Eco-friendly homes in Calgary automatically qualify for the CMHC’s program without the need for additional efficiency improvements. However, you do have to provide the CMHC with documentation from the builder stating that the home conforms with EnerGuide specifications. Then, you will have to arrange CMHC-insured home financing through your lender. It is always a good idea to get pre-qualified for a mortgage before you start shopping for a home, so talk to your mortgage lender early in the process. If you are unsure whether or not CMHC will insure a mortgage from a specific lender, contact them and ask. If you meet these qualifications, CMHC will offer you a 10 per cent discount on your mortgage insurance premium for your eco-friendly home. You may also qualify for a premium rebate if you choose a longer-than-normal amortization period, if this applies to your situation. Download Genworth Canada’s energy efficiency mortgage rebate application from the company’s website. Make sure your mortgage lender is on their list of approved lenders before proceeding. Mail or fax in your completed application along with the first page of your energy efficiency evaluation report, or with documentation that certifies the home meets Genworth’s efficiency standards. You can obtain this documentation through your green home builder. These programs give you even more reason to choose eco-friendly homes in Calgary! Fine Line Homes is a leading green home builder. Based in Calgary, the company builds homes throughout southern Alberta, and has earned a rightfully deserved reputation for quality, reliability, and optimized energy efficiency. 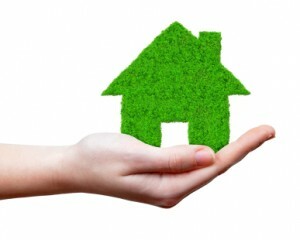 If you’re thinking of building a new home, going green is a wise financial decision. To learn more about Fine Line Homes or discuss your custom energy-efficient home requirements, please contact us.